The stars did not align for a 2016 paper ancient astronomy in the Amazon region after the author discovered errors in his work that the journal deemed fatal to the case, although the author has objected to the retraction. And the author feels as though he was punished for being honest. The red alcove circle in Fig 13 faces 300°, not 270° and therefore it does not mark a spot where the sun would shine through the crevice directly beneath the circle on the day of the equinox. Instead, the circle may mark a position where sun would shine through the crevice at sunrise on the day of the winter solstice at ~114 ° (compass readings of 113°, 109°, 121° on different devices, averaged to 114.3°). The six vertical lines do not face 114°, and therefore do not mark the position of sunrise on the winter solstice. Compass measurements require independent validation; concerns remain regarding the accuracy of the data. Original key conclusions related to the intention behind the placement of the paintings are not fully supported. An astronomical alignment with sunrise on the true equinox was reported for the original compass measurements, and it is unclear what steps were taken to avoid a potential bias in the interpretation of the new measurements towards possible alternative astronomical alignments or explanations. 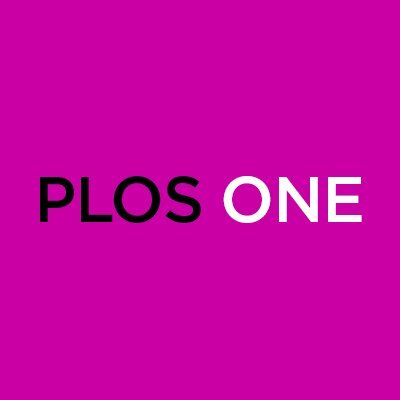 In light of the concerns raised about the accuracy of the data and the strength of support for the original conclusions, the PLOS ONE Editors retract this article. The editors felt that the errors, which I self realized and reported, changed the premise of the paper, which I disagree with. I always contended that only the sky-themed images are aligned to solar positions along the ecliptic, and that several other images are either tallies of celestial observations or stars/constellations …. I was trying to be honest and forthright, but I can’t help but wonder if the paper would never have been retracted if [I] had not said something. I understand you write about scientific integrity, which is what I tried to earnestly maintain. However, to retract my initial paper instead of publish a correction to my paper feels like punishment. As a society, we have to allow for people to correct their mistakes. Otherwise, we encourage scholars to be defensive, secretive, and unscrupulous. Good grief, author. Such a sob story. Buck up and resubmit the corrected article. I would send it back to PLOS, recommending the editor who handled the retraction as the handling editor of the resubmission. After all, retracted material is now unpublished material. Wouldn’t hurt to ask for a fee waiver for the resubmission. I’m not an expert in this area, but it seems to me these data errors undermined the major contribution of the work. The author seems to be saying that his honesty should trump scientific accuracy, but if these errors did indeed eliminate the article’s contribution then he really has nothing to complain about. I doubt PLOS did this out of malice…they did it out of duty to scientific rigor. There’s really nothing more to be said about it.